With property prices seemingly ever increasing in Manhattan, many have already made the decision to live in nearby Hoboken. An influx of people means an influx of cars and trucks which means an increase in noise. 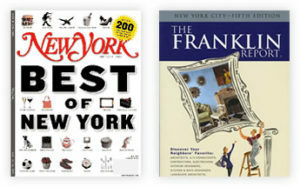 If you’re reading this, you’re probably one of the many residents of Hoboken looking to reduce the noise in your home. The good news is that Cityproof has repeatedly delivered on its promise to Hoboken residents. 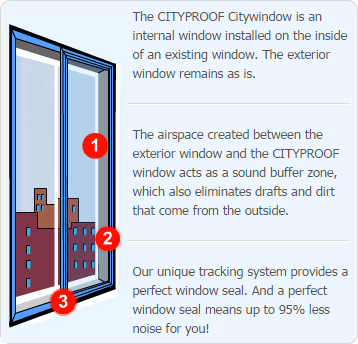 Cityproof’s windows are superior in their soundproofing capabilities (up to 95% sound reduction) and their durability (built to last a lifetime with little to no maintenance). Every window is completely custom manufactured based on exact measurements taken onsite. This results in the tightest possible fit to ensure maximum noise reduction. Flawless installation leaves virtually nothing to paint, fix, or repair. Cityproof Is Ready To Help! We know that you won’t be disappointed with either our soundproofing product or service. Give us a call today at (718) 786-1600 or use the form below to contact a window soundproofing expert.